The 2019 INFINITI QX30 is a sleek, upscale crossover that hits all the right notes with its sporty performance and stylish cabin. Thanks to its speedy engine and sharp handling, the QX30 attracts quite a few driving enthusiasts. With its rich comfort and modern ergonomics, it also attracts the kind of drivers who prefer the finer things in life. Every 2019 INFINITI QX30 comes standard with a turbocharged 2.0-liter four-cylinder engine that produces 208 horsepower and 258 pound-feet of torque. The engine is mated to a seven-speed dual-clutch automatic transmission that supplies quick responses to your input for a seriously sporty ride. If you need a little extra traction, you can always add all-wheel drive to your QX30. You’ll also love how well this crossover drives, with sharp steering and excellent handling in a tight spot. This subcompact crossover is all about luxury. The 2019 INFINITI QX30 comes standard with an impressive array of comforts, including front seats with power lumbar and dual-zone climate control. The 60/40-split folding rear seatbacks make it easy to expand the cargo space in snappy fashion. As you move up the trim levels, you’ll find increasing comfort and style. Features like the panoramic sunroof and heated front seats give the QX30 an upscale vibe. At the top of the trim pyramid, you’ll find incredible luxury, with options like full leather upholstery and black-and-purple interior trim. The 2019 INFINITI QX30 aims to help you steer clear of danger. Every trim model comes standard with forward collision warning with automatic emergency braking, technology with the potential to bring you up short of an accident. There’s also a blind-spot monitoring system, standard on the Essential trim and up. This technology lets you know if there’s a vehicle lurking just out of sight, effectively helping you avoid a nasty sideswipe. With the optional surround-view camera, you can guide your QX30 into a parallel space without worrying about chipping any paint. This crossover even offers a navigation system, making it easy to get wherever it is you’re going. All things considered, the INFINITI QX30 does an excellent job of protecting you and your family members from potential danger. 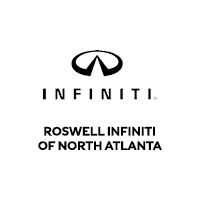 Visit us at Roswell INFINITI to check out the 2019 INFINITI QX30 up close and in person. We think you’ll agree that this crossover adds some serious zest to your daily drive. You’ll also love its rich comfort and high-tech safety features.